Iced coffee is one of the world’s greatest inventions. On a warm day, you can get the drink that kickstarts your day without risk of overheating. But there is an art to making good iced coffee. Whether you prefer yours black, with an extra shot of expresso, or a sweetened latte, Arizona’s coffee shops are sure to impress. 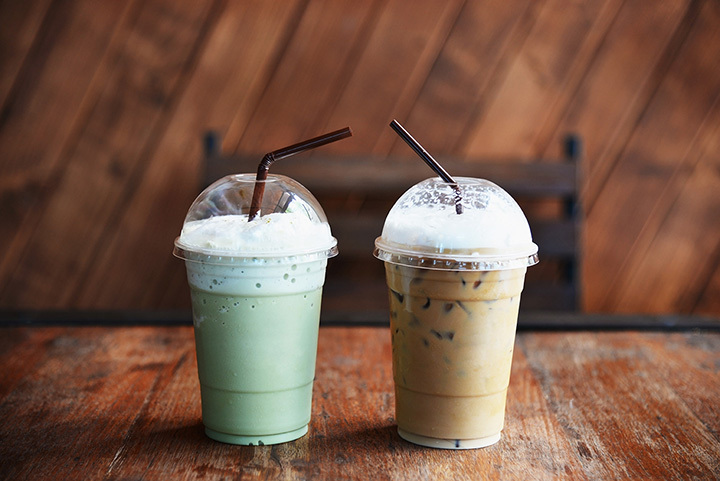 Here are the 10 best places for iced coffee in the state! At both Provision locations, you'll find artisanal coffee creations like Japanese-style iced coffee and nitro cold brew with mole bitters, craft beers, and boutique wines. The atmosphere is warm and welcoming, and the staff is friendly—so you'll always feel comfortable, no matter which location you visit. If you like your iced coffee black as midnight on a moonless night, Lola Coffee Bar should be your first stop. The iced coffee here is a strong, black blend of coffee and espresso that'll keep you running all day long. Oh, and the complimentary Wi-Fi and art collection definitely don't hurt. King Coffee is a community coffee shop that prides itself on its quality cold brew, handcrafted espresso drinks, and tasty pastry and sandwich selection. If you enjoy having options, you'll find no shortage of them here. From plain to flavored iced lattes, cold brew, and iced chai and teas (just to name a few), there's an icy drink with your name (spelled correctly!) on it right here. You'll want to come to Be Coffee for the cold brew, of course, but once you see the food menu, you'll want to stick around for a while. Featuring breakfast sandwiches, chorizo scramble, oats, and Nutella toast, there's a little something for everyone at Be Coffee. Finish it off with an affogato, and you're living the dream! Exo Roast's cold brew selection is seriously next level. Choose from a classic Toddy extraction, or the Chiltepin cold brew brewed with peppers and topped off with Truffle chocolate and a dash of cream. If this subtly sweet and spicy version doesn't sound appealing, you can opt for the Mesquite which is "Malty, sweet, and caramel-like," according to the website. We're sold on all three! Cartel Coffee Lab likes to keep it simple. At each of their locations, you can expect to find espresso, filter drip coffee, tea, pastries, and, of course, iced coffee. It's what they do best, after all! At Lux Coffee, you'll find a lot more than just iced coffee and espresso. There are bakery, breakfast, lunch, and dinner options, in addition to wine, beer, and cocktails. But if there's any reason to come here—it's the coffee, which is all hand-roasted in-house. If you need an extra kick, order the house blend espresso over iced coffee. If we had to describe The Grand in one word: it would be, well, grand! There's a café, coffee shop, beer garden, speakeasy, and general store. Come in for a cup of iced coffee, but don't take it to go right away. Have a look around at the general store! Maybe order some food. Enjoy yourself! There are a lot of things to like about Elevate Coffee Co., but the star of the show here is the iced coffee. Grab an iced latte, cappuccino, caramel mocha, or something else, if it suits you—it's all good. Or, if you're feeling something different—a dirty chai or an Italian soda should do. At Colados, you'll find iced coffee classics like Macchiatos and Americanos with sweet and savory crepes, salads, and smoothies. Indulge in a sweet or savory crepe as a snack or meal—but don't forget to wash it down with a delicious iced coffee. And remember, from 2-5 p.m. every day, all drinks are half off. It's Halfy Hour, folks!